Everyone loves bluebells and now is the perfect time for a trip out of Meads to the Arlington Bluebell Walk and Farm Trail open until Sunday 13 May. What began in 1972 as a local fundraiser has developed into seven walks over three working farms. The main walk is through Beatons Wood, classically sun dappled with carpets of white wood anemones and thousands of bluebells as Pete Goldsmith's fabulous photographs show. If you want to try your hand, there is a photo competition for both adults and juniors with cash prizes and the chance to have your work on display at the Bluebell Barn and on their website. Open from 10.00 to 5.00 every day. £6.00 adults £5.50 Seniors £2.50 children. Family tickets £15. 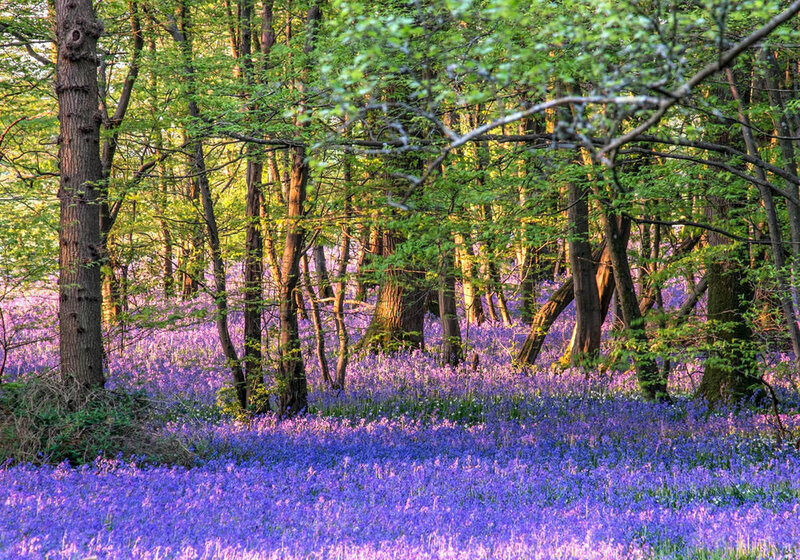 They say that the weather will improve and the bluebells are at their best right now.Sounds like a perfect day out. For more of Pete Goldsmith's wonderful photographs, go to our website gallery page and if you would like to send your bluebell photos just go to the contact page as we would love to see them.